Make durability a standard with the sturdy wood material of this Winston serving tray. 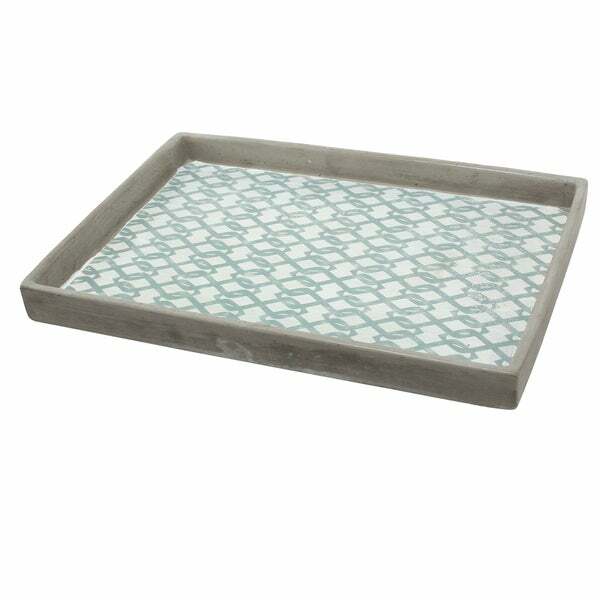 With its compact size and panel design, this serving tray is usable as a decorative storage tray for small home accessories or as a functional serving tray for beverages and meals. Not made of wood. Wood and? Black-and-white home decor is one of this year’s biggest home trends. This color combination is a classic for a reason. Not only does it work with a variety of patterns, but it goes with almost every interior design style. Whether you’re looking for big or small ways to incorporate this trend into your home, these black-and-white home decor ideas will get you started. Traditional hope chests are usually given to young women on the cusp of adulthood, and contain heirlooms and household essentials designed to make married life easier. Read on to learn about a few hope chest essentials for your own project.